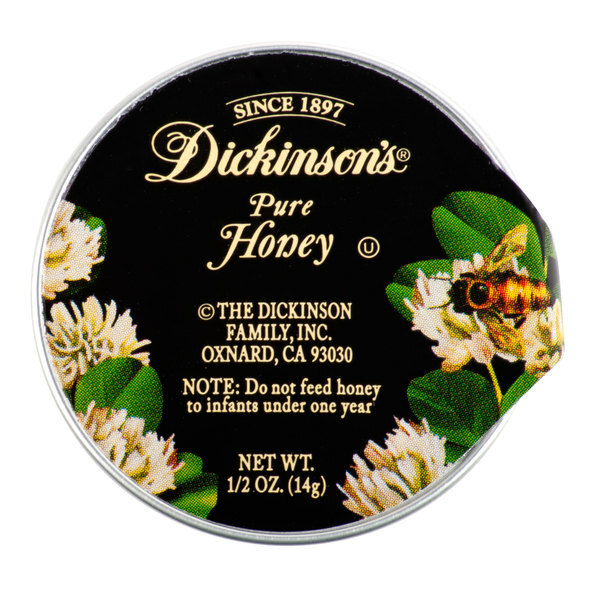 Indulge your guests with the classically sweet flavor and outstanding quality of Dickinson's pure clover honey. 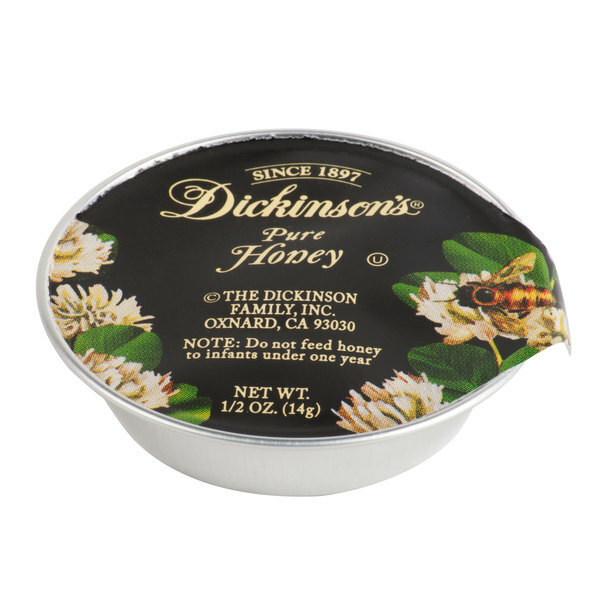 Since 1897, Dickinson's has been the leading American brand of gourmet preserves, syrups, and honey, with its "American Gourmet" character, premium varietal fruits, and pure, high-quality ingredients. Made from clover nectar, this sticky-sweet spread bursts with fragrant flavor. The honey's mildly floral taste and delightful sweetness make it a delicious addition to exclusive breakfast services or in-room dining. This portioned .5 oz. cup is the perfect middle ground between economic plastic cups and sophisticated glass jars, while still presenting a chic appearance. The packaging of this product helps to maintain its delightfully fruity taste and preserve its superior quality. 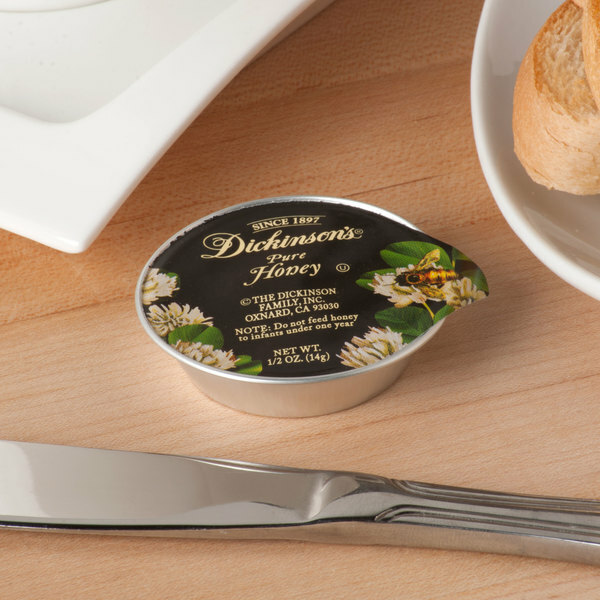 With its single serving size and elegant graphics, this high-quality honey complements the refined atmospheres of the world's finest restaurants, hotels, and catered events. These honey packets are perfect size and look good in a catering set-up for tea and coffee. 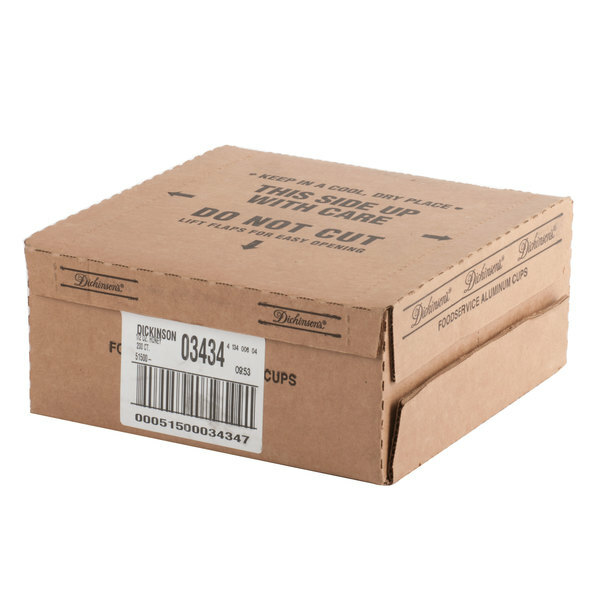 The delivery was on time and the packaging looked great. This is some seriously high end honey and it tastes amazing! The packaging is so nice it makes it look really fancy. Perfect portion size too. These are great and look nice. My only issue is, a few will always be broken in a pack and it makes the rest sticky. I just rinse them under water to help this but you always find more than you expect so anticipate you'll toss a few when taking these into consideration for your food costs. Dickinson's packaging is always nice. It looks a little more upscale but it's good that the cost isn't. This is good tasting honey and a nicely portioned serving size.